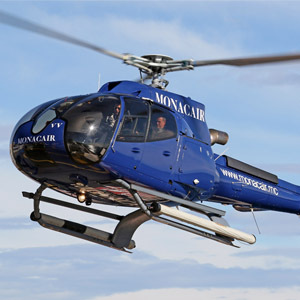 DOHA, Qatar, 2017-Jun-01 — /Travel PR News/ — Qatar Airways and Monacair are delighted to announce a new partnership between one of the world’s leading airlines and the French Riviera’s premium helicopter operator, commencing 4 July. Qatar Airways’ passengers arriving in Nice on board the airline’s newly-launched direct service to Nice will now have the opportunity to seamlessly connect at Nice International Airport onto a Monacair helicopter flight to Monte Carlo. Likewise, passengers travelling from Monaco to Nice by helicopter will be able to connect at Nice International Airport to a choice of more than 150 destinations on Qatar Airways’ global network. This partnership will ensure passengers travelling to and from Monte Carlo enjoy smooth, continuous service from their homes to their final destination, with one single booking and point of contact. Launching on 4 July, Qatar Airways’ new direct five times-weekly service to and from Nice will operate with a Boeing 787 Dreamliner, providing passengers from around the world access to the ever-popular tourist destination of the French Riviera. Monacair and Qatar Airways share similar values, combining the high quality of a modern and efficient fleet with exceptional customer service. Business Class aboard Qatar Airways’ Boeing 787 Dreamliner offers an all-aisle cabin configuration, with seats arranged in a unique diamond shape to offer more personal space. Fully-reclining seats and easily accessible, ergonomic work surfaces create an environment that is conducive to both relaxation and productivity. Adding to the experience is a diverse Business Class menu with extraordinary cuisine and an on-demand service offering the highest quality and freshest ingredients. Qatar Airways’ Boeing 787 Dreamliner Economy Class provides passengers with more room than ever before, with a full 30 inches of personal space and a 31 inch seat pitch providing room to stretch out and relax. Onboard Wi-Fi enables all passengers to stay connected at any time, and the world’s first dual-screen interface makes it easier than ever to multitask, enabling customers to play a game on their hand-held device while watching a movie on their personal screen, which features an intuitive touch-screen control unit. Passengers will be able to book on www.qatarairways.com or through their travel agent an interline itinerary that will include both their Qatar Airways flight to and from Nice and their helicopter flight to Monaco operated by Monacair. Customers flying on the Qatar Airways Boeing 787 Dreamliner enjoy an experience like no other, where breakthrough technology combines with a human approach to design to offer lower cabin pressure, improved air quality and optimal humidity, complementary to the service provided by the airline’s award-winning crew. This entry was posted in Airlines, Business, Flights, Transportation, Travel, Travel Management, Travel Services, Travelers and tagged Akbar Al Baker, Doha, Gilbert Schweitzer, helicopter service, Monaco, Nice, Qatar Airways. Bookmark the permalink.